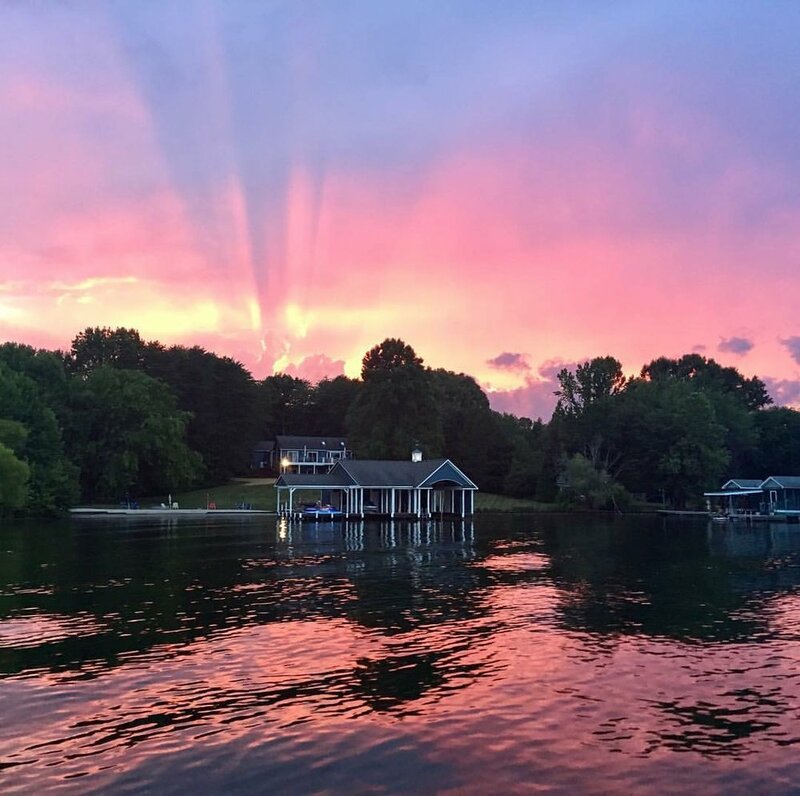 Whether you are planning a romantic getaway, a multi-family outing, a girls’ (or guys’) weekend, or just some time away, this little slice of heaven is less than an hour west of Richmond. Sitting high on a bluff affording beautiful sunrises, this 4-bedroom, 3½-bath, private home sleeps 8, with room for two more on comfortable couches. Upstairs you’ll find a fully appointed kitchen with eating area, a family room, two bedrooms, and two full bathrooms, and downstairs are two more bedrooms, and 1½-baths. Two indoor entertainment areas will keep everyone happy! Off of the 1st floor, the jaw-dropping “man cave” features a widescreen theater with surround sound, satellite TV, Apple TV, a blu-ray player with movies, comfortable lounge seating, and an industrial icemaker for all your beverage needs. Downstairs, you’ll find the same TV set up and digital amenities, a full wet bar, and a billiard table. Step outside off of the main level onto the large deck with a gas grill, and seating to accommodate 17 comfortably. Cable railing provides unobstructed views of the water, white sand beach, and dock. From the downstairs level, venture outside to a beautiful, covered, stamped concrete patio with ceiling fans, and direct access to the yard and Lake Anna. Enjoy cocktails around the beautiful fire pit overlooking the white sand beach, or move the party down to the dock, complete with comfortable seating, ceiling fans, a full refrigerator and freezer, wine cooler, microwave, sink, and another icemaker. Although you may bring your own boat or jet ski, a waterski/wakeboard boat AND a pontoon boat will be provided for a day (up to 8 hours), complete with your own personal boat captain, to tool you around on the water, and to ensure you always have a beverage in hand. There is a jet ski available for your use, but Virginia law requires you to have the appropriate boating license in order to operate it. In addition, there are life vests, tubes, and more floats then you could possibly need. While stepping away from your routine, you’ll be able to enjoy waterskiing, wake boarding, knee boarding, paddle boarding, kayaking, basketball, billiards, ping-pong, horseshoes, badminton, volleyball, bocce ball, and an entire outdoor sports and game closet full of entertainment. This home is perfect for a long weekend (up to 5 days), and is complete with Sonos everywhere, and wi-fi, should you wish to stay connected to the outside world. Blackout dates in 2018 are June 30, July 7, August 4, Thanksgiving, Christmas, and New Year’s. For scheduling purposes, please select your dates by March 31st. As this is a private home, please do not consume the owners’ alcohol that may be on the premises (beer, wine, and liquor). Please treat the home as your own, and leave it as you found it.